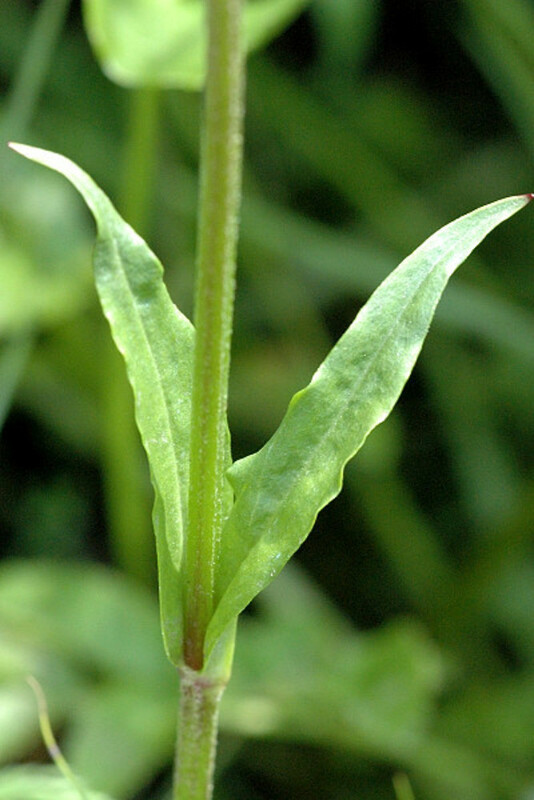 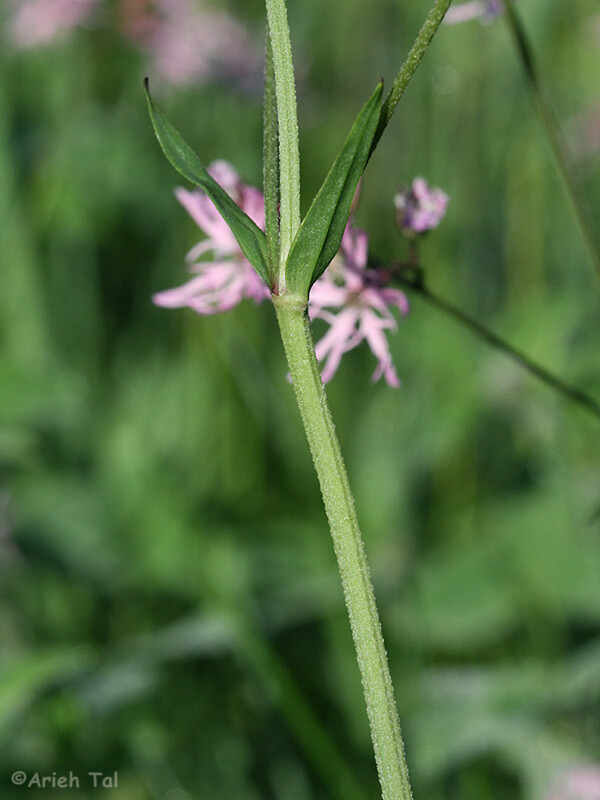 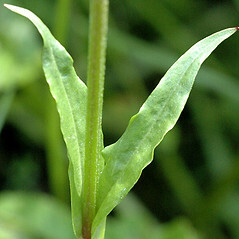 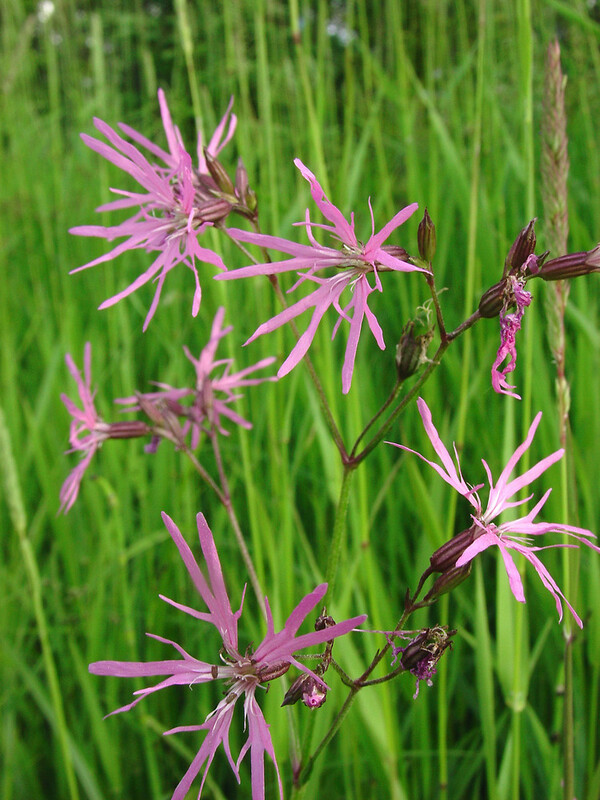 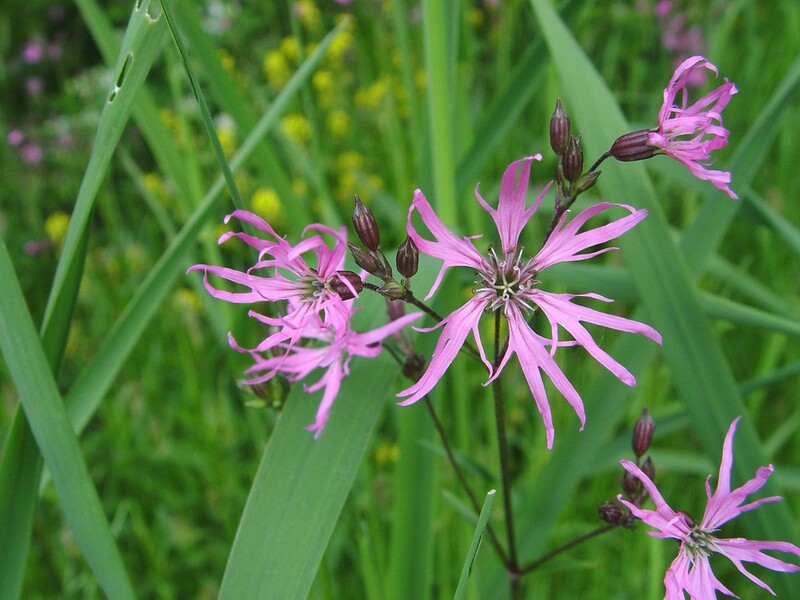 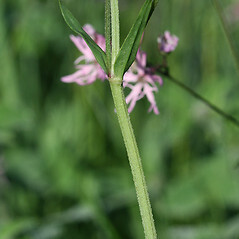 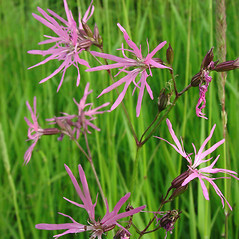 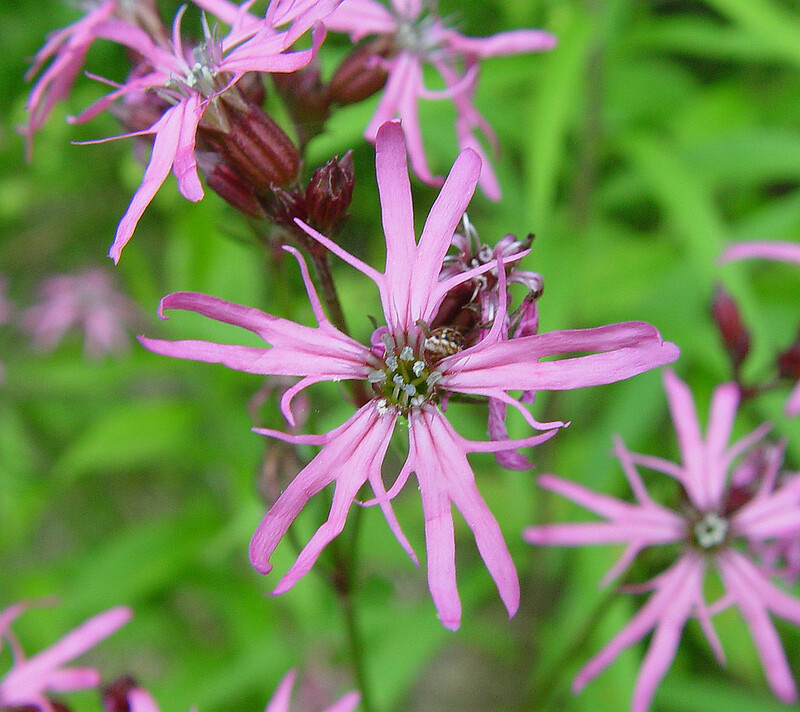 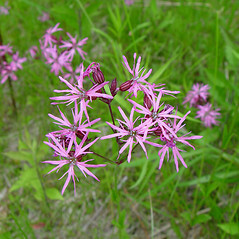 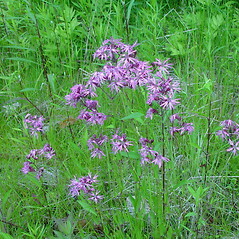 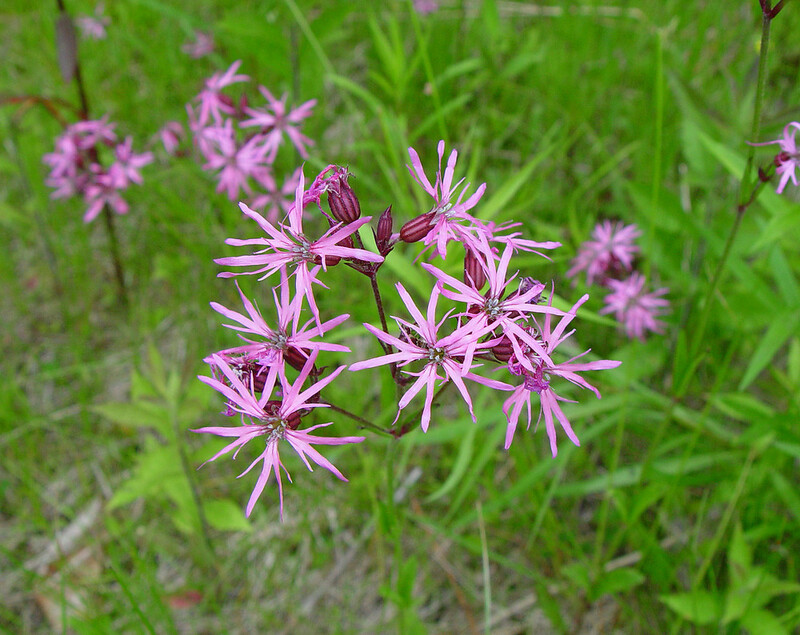 Ragged robin lychnis was introduced from Europe into New England most likely by planting in gardens. 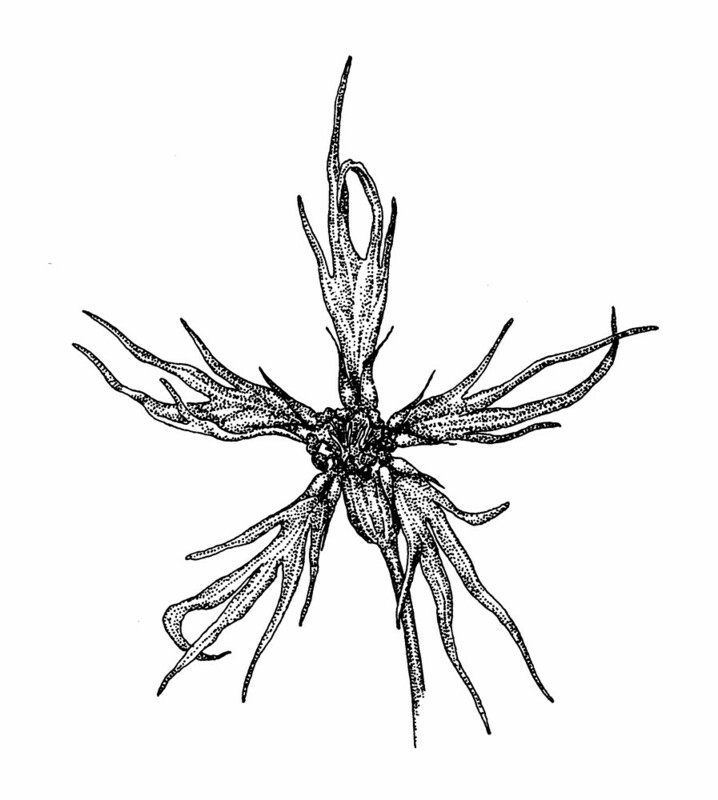 However, it was also reported from ships ballast in 1880, a common method of unintentional introduction. 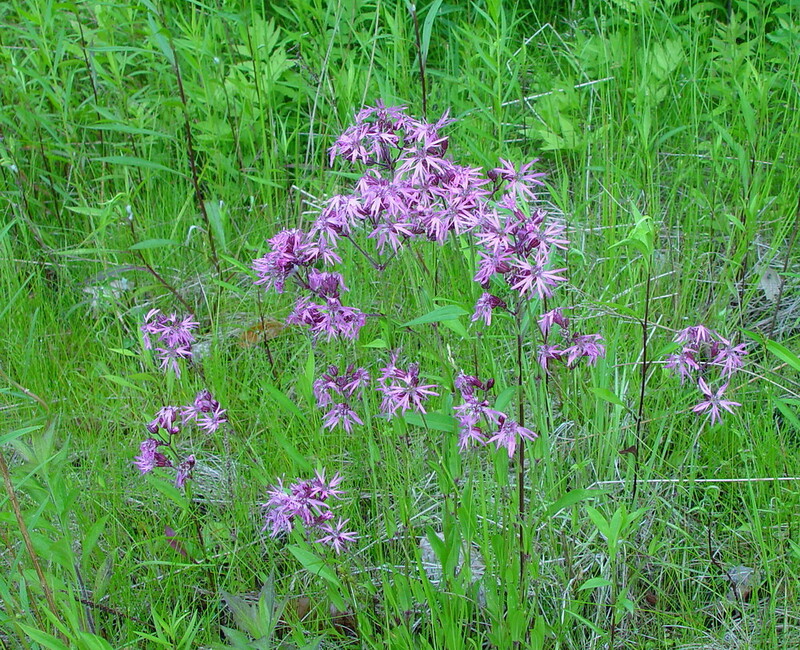 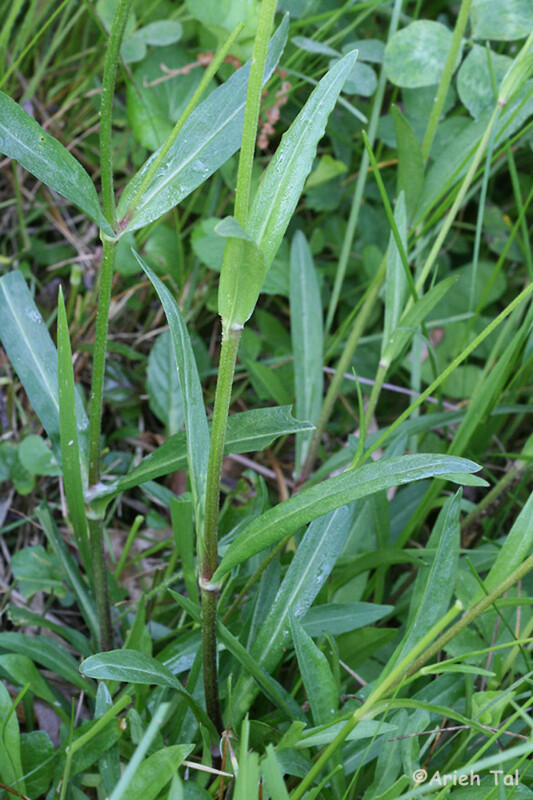 While not a major invasive species in New England, it is reported to have increased in recent years and can form large monospecific patches. 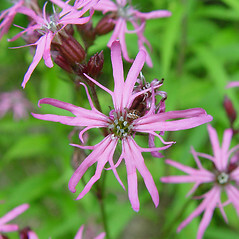 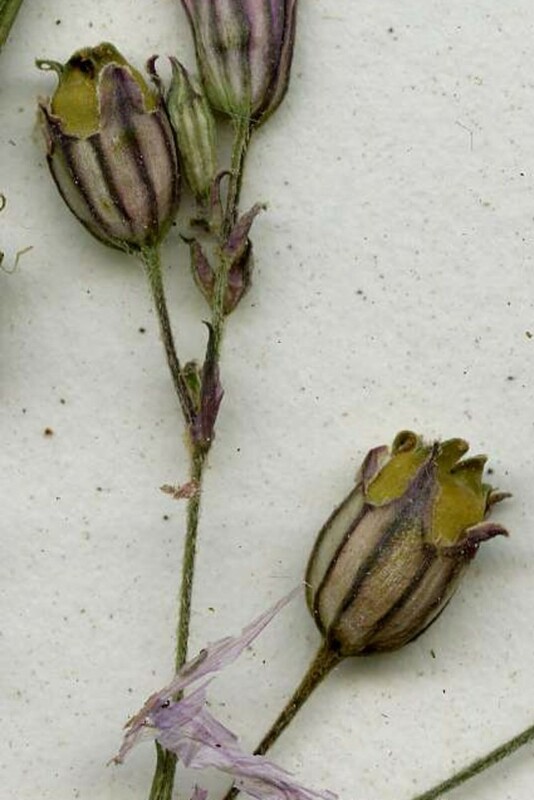 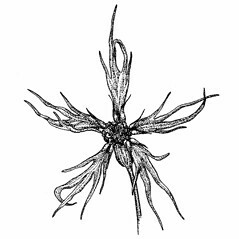 Our subspecies is Lychnis flos-cuculi L. ssp. 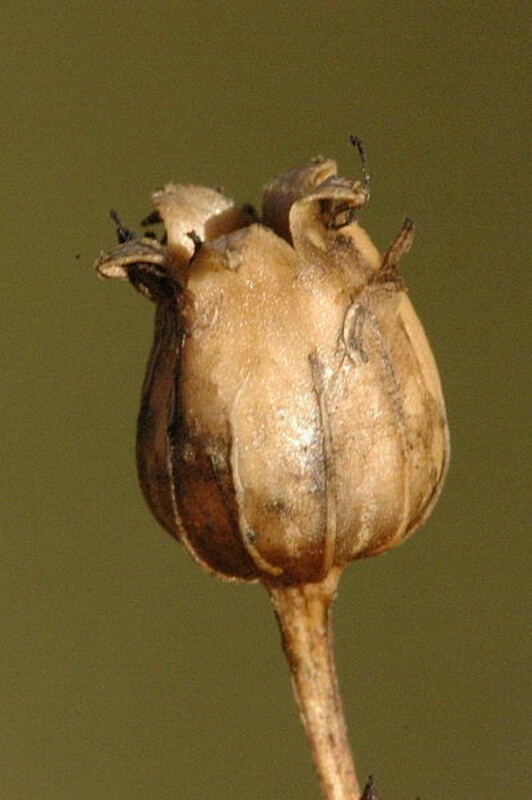 flos-cuculi. 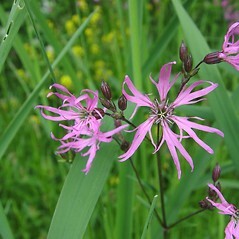 ragged robin lychnis. 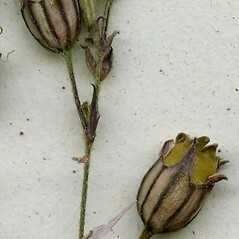 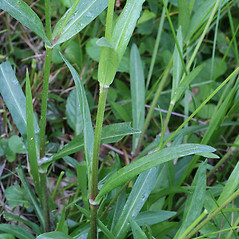 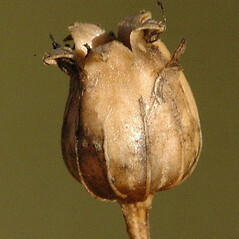 Coronaria flos-cuculi (L.) A. Braun; Silene flos-cuculi (L.) Clairville • CT, MA, ME, NH, RI, VT. Low fields and pastures, ditches, riverside meadows.